The European EYE-RISK project, which comprises the Barcelona Macula Foundation, is aimed to explore the combined role of genetic and non-genetic factors that lead to age-related macular degeneration (AMD). 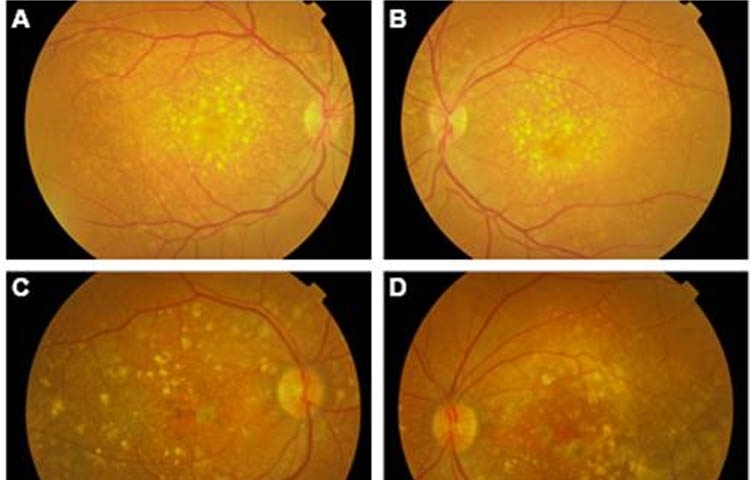 To achieve this, the determination whether patients with AMD can be stratified into different risk groups using information on molecular drivers of their disease is necessary. The Consortium has recently published a study on the disease features of AMD patients carrying rare variants in the complement factor H (CFH) gene in the prestigious journal JAMA Ophthalmology entitled: “Phenotype Characteristics of Patients With Age-Related Macular Degeneration Carrying a Rare Variant in the Complement Factor H Gene”. The study was published open access , and can be accessed here. The risk for AMD is determined by a combination of environmental factors, such as age and smoking, and common and rare genetic variants. A large number of these genetic variants are located in genes encoding components of the complement system. Rare variants in the CFH gene can confer very high risk of AMD, even up to 30 times more risk for carriers of such variants compared to non-carriers. Functional studies have shown that these variants can lead to reduced function of the factor H protein, and subsequently this leads to less ability to inhibit complement activation. Currently, several clinical trials are ongoing to test the efficacy of complement inhibitors on inhibiting AMD disease progression. It has been postulated that patients with high complement activation, for example due to rare variants in the CFH gene, might respond better to complement inhibitors than AMD patients in general. In this study we aimed to determine whether patients carrying rare variants in the CFH gene have distinct features that can distinguish them from patients without rare CFH variants. A distinct disease description of these CFH carriers would enable ophthalmologists to select patients for genetic testing and complement inhibiting therapies more efficiently. For this study, images and genetic data of AMD patients were selected from the European Genetic Database (EUGENDA). In total, 100 eyes of 51 carriers and 204 eyes of 102 noncarriers were included in this study. Carriers of rare variants in the CFH gene tend to have more and larger drusen, drusen are more often located outside the central retina, in particular nasal to the optic disc, and crystalline drusen are seen more often. Although carriers of rare CFH variants have different disease characteristics, these characteristics are not very accurate in discriminating carriers from non-carriers. The disease characteristics could help ophthalmologists to select patients for genetic screening. 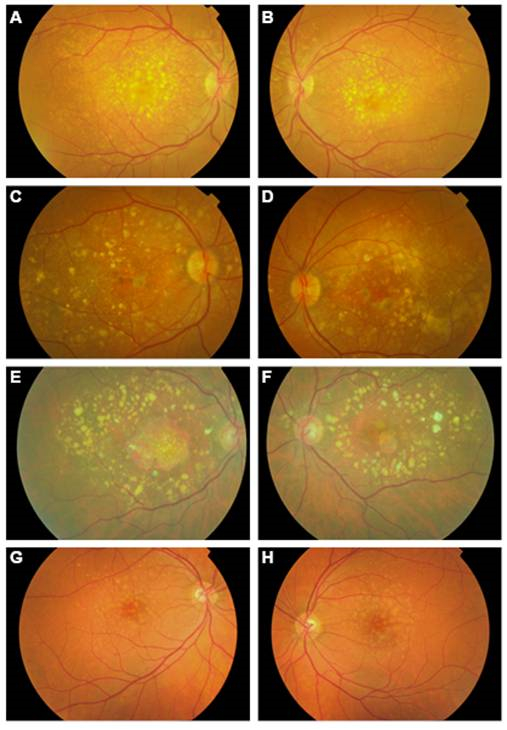 Ophthalmologists should consider genetic testing in patients with extensive drusen deposition, crystalline drusen and/or drusen nasal to the optic disc in combination with other patient characteristics, such as early age of onset, cuticular drusen on fluorescein angiography, and a positive family history for AMD.